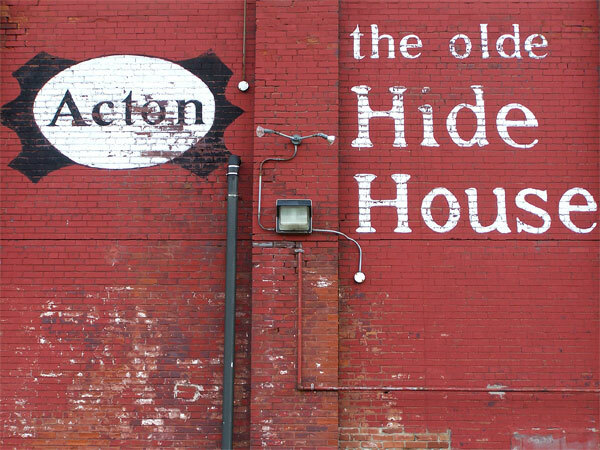 The Olde Hide House - "It's worth the drive to Acton"
Update: The Olde Hide House, renamed the Hide House, is still in operation in Acton while the Toronto and Vaughan locations have been closed. The current posted hours of operation are: Open daily from 10am to 6pm. The phone number is 1-877-4-Leather or 519-853-1031 and they have a website at hidehouse.ca so please check it out for the latest sales. The Acton property and building are up for sale and the Hide House hopes to continue as a tenant after the sale. The massive store has been divided with one half remaining as a sales area and the other half has been closed to the public and is being used as a warehouse. Unfortunately the childrens indoor play area and juice bar were in the warehouse portion. The Olde Hide House is situated in a converted warehouse that was constructed at the turn of the last century. The building itself is very large and has an open atmosphere that is very interesting. 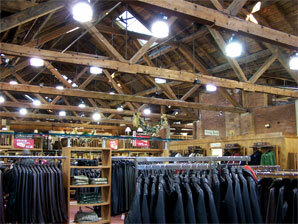 Located at 49 Eastern Avenue in Acton, Ontario, the store is along Highway 7 just to the east of Highway 25. You can use my maps of Acton or you can check out this link to Google Maps showing the location. Their official website is here and they also supply the history of the Olde Hide House here. They have an amazing selection of leather clothing and furniture and it is worth the drive just to look around the store. The Olde Hide House had several stores located around Acton which were consolidated within their main store. 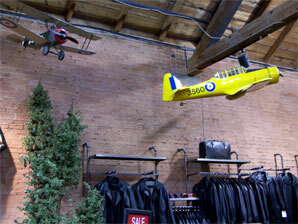 They had "Flight Aviation in the downtown core along Highway 7 and off Church St E they had the "Western Warehouse." 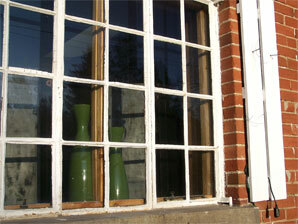 You can see some of the planes in the Olde Hide House that they used to have located at the Flight store. During a large part of the year the Acton Trunk sale is held in the parking lot in front of the Olde Hide House on Saturday mornings. On summer Friday evenings people use the space to show their cars. For a short period GO Train had a stop in Acton located right beside the Olde Hide House - but it didn't last long and the train no longer stops here. 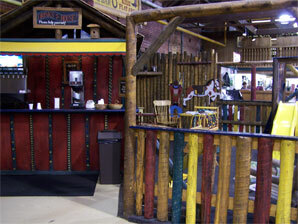 A small part of the Hide House along with the refreshment bar. You can contact us by email at ann.hamilton@sympatico.ca. We love to hear from our visitors! Here is a shot of the Olde Hide House area made by putting a couple of pictures together to make a panorama using AUTOSTITCH (a great Canadian product).